Italian nutrition company Namedsport has announced a partnership with the Tour de France as Official Partner of the event’s Team Classification. This effectively creates a Triple Crown for the brand, as it adds to existing relationships it has in place with the Giro d’Italia and La Vuelta a Espana. The 5-year partnership with Le Tour organiser A.S.O. also includes Great Classics of The North to complement Namedsport’s current sponsorship of four UCI world tour teams. In addition to the Tour de France, the Great Classics of the North include: Liège–Bastogne–Liège, La Flèche Wallonne, Paris–Roubaix, Paris–Nice and the Critérium du Dauphiné. 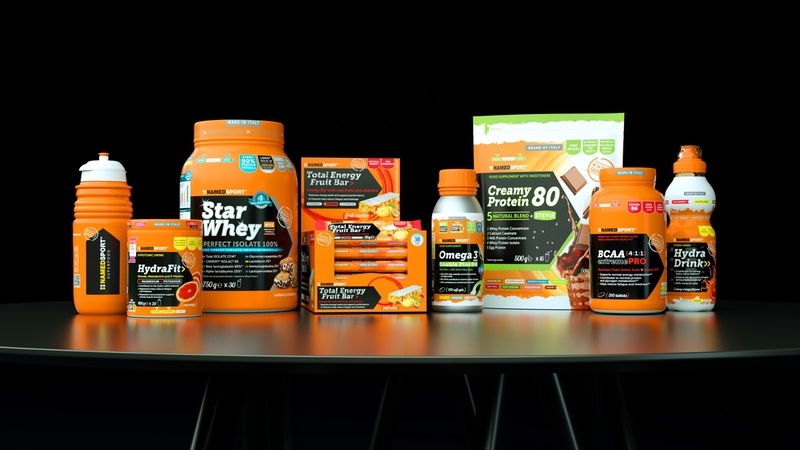 The Namedsport range includes energy gels, energy bars, drinks and supplements. It is the brand behind the popular HydraFit drink, which helps provide fast energy carbohydrates through a hypotonic and electrolyte drink mix. Namedsport products are already an integral part of the daily programme for some of the biggest cyclists including Vincenzo Nibali, Fabio Aru and John Degenkolb as part of four of the biggest World Tour Teams of Bahrain Merida, Trek Segafredo, UAE Team Emirates and Astana. Commenting on the new partnership with Le Tour Andrea Rosso, CEO and co-founder of Namedsport said, “For us, it’s a dream come true. La Grande Boucle is a global event, a stage that guarantees truly unique media exposure which is able to attract not just the best riders out there, due to the history and importance of the event, but also a wealth of top-tier sponsors. As well as having a branded Namedsport race number on the jersey of the leading team for each of the 21 stages, the sports nutrition company ‘will be pulling out all the stops to be a standout in the pageantry of the Tour de France.’ From its iconic orange Lamborghini rolling through the caravan procession to giant inflatable arches and branded feed zones, Namedsport adds that its passion for cycling will be on full display. The HydraFit brand will be available to refresh and rehydrate the crowds in the Hospitality Area and Commercial Villages at the start and finish lines of Le Tour stages.